On February 28, on the initiative of the media brand MMR, PR-marathon #7 on anti-crisis communications and reputation management was held. The event brought together leading experts in this field in the conceptual space “Atlas”, where they shared their own strategies and techniques to overcome negative image phenomena. The brands of New Products Group – EatMe and Green Energy – supported this important public relations event. The seventh PR-marathon was held under the title “our.brand.crisis” and was devoted to the practical advice for effective anti-crisis management on the example of real cases. Experienced speakers in the form of lectures, reports, public interviews and panel discussions gave recommendations with step-by-step instructions for managing a personal reputational crisis or a PR-crisis for a brand or company. Global topics were also raised, such as the general state and prospects of the Ukrainian communications market. “We consider such fruitful initiatives as fundamental in PR. Media professionals should communicate with each other as much as possible, because communication is our everyday work tool. Transmitting useful experience to each other is mutually beneficial and rational, as it gives the opportunity to succeed in the field as a whole, – said Elena Selutina, PR Director of New Products Group, and she added: A lot of energy is needed to succeed in tackling a complicated task. It is an extremely important element, to which the vast majority of our company’s product line is devoted. We want our consumers to relieve stress in a healthy way and find strength in the gifts of nature, so we are looking for and combining the most beneficial, energy-rich ingredients. Therefore, sponsoring an anti-crisis event seems a natural and logical step to us”. Not a single crisis can be overcome without treats! However, it is important that those treats are healthy. 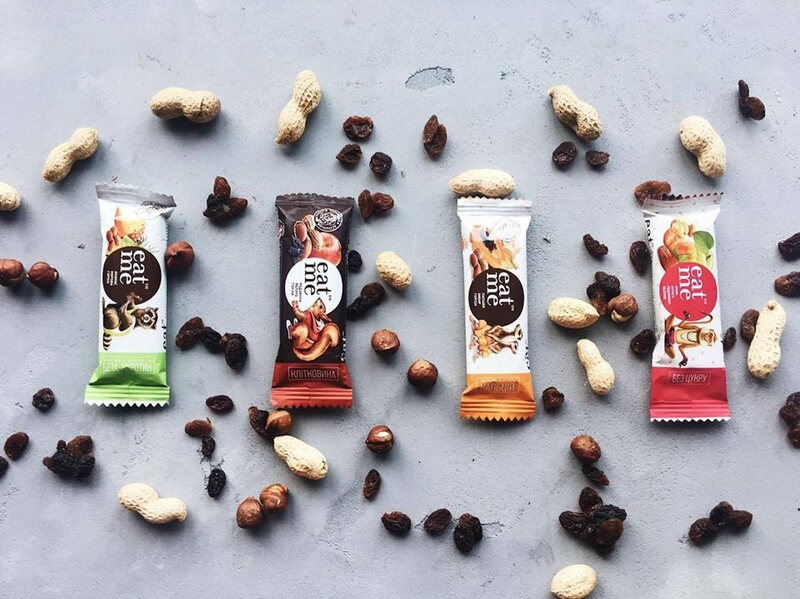 Such as the EatMe™ nut-and-fruit bars, which consist entirely of natural ingredients and are approved by the Ukrainian Association of Nutritionists. The laconic and nutritious bite of happiness will add the strength to see an unexpectedly creative way out of any “steep dive”. Efficiency can be doubled if you take up the case under the charge of Green Energy™. The energy drink with cannabis seeds has the beneficial properties of the plant, such as its ability to subdue stress, anxiety and bad mood. A few refreshing gulps is the surest way to regain composure and focus on the search for innovative solutions.